There is a reason they make salt and pepper shakers in matching sets—they go together like no two other spices in the world. 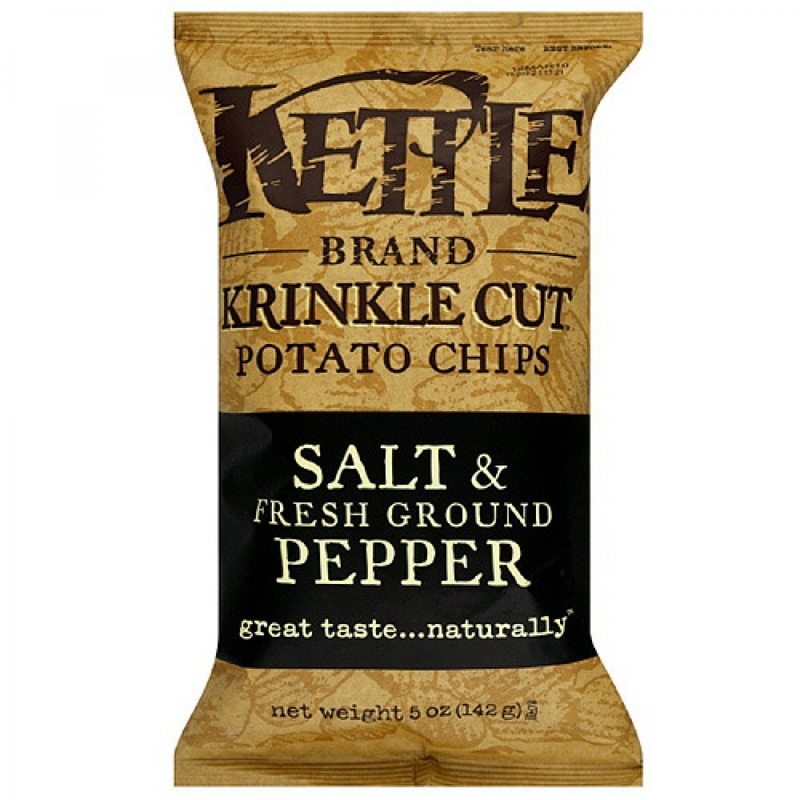 We’ve taken that collaboration of flavor goodness to new heights (and depths) by lightly sprinkling them on the rolling ridges of our Krinkle Cut chips. You might need to buy that matching chip bowl for the table setting. Potatoes, safflower and/or sunflower and/or canola oil, rice flour,salt, black pepper, yeast extract, spice, garlic powder, onion powder, citric acid, spice extract, jalapeño powder. 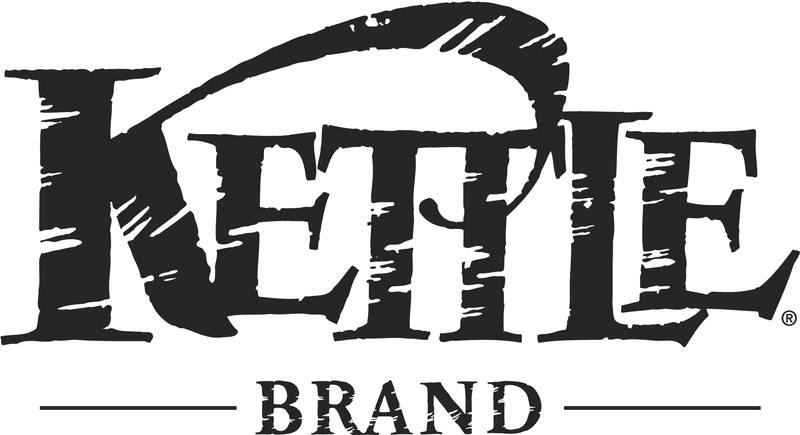 Kettle Foods, Inc. is an international manufacturer of potato chips, tortilla chips, and nut butters based in Salem, Oregon, United States, with a European and Middle East headquarters in Norwich, United Kingdom. As of 2006 they were the largest natural potato chip brand in the U.S.
Kettle Foods products, marketed as all-natural, is best-known for its potato chips (batch-cooked and extra crunchy). Their potato chips are fried using expeller-pressed high-monounsaturated safflower and/or sunflower and/or canola oil. As of 2016, the ingredients for the company's most basic chip ("Sea Salt") was: potatoes, safflower and/or sunflower and/or canola oil, sea salt. Many other flavors use ingredients like natural flavors, spices, citric acid, and yeast extract.